Writing for Websites, Blogs, Email Newsletters and Social Media - Wood Street, Inc.
We work with a lot of clients on projects for the web – web sites, email newsletter campaigns, blogs, social media, etc. – and content is always a main concern. Content is important – some say it continues to reign as king. Unfortunately, not all organizations have a solid understanding of how to write for the web. So, we’ve assembled some of our consultative tips from past projects to serve as a guide for you. What works in web content? What DOESN’T work in web content? If you work through these pieces first, writing your content will go much smoother and the outcome will yield much better results. Assemble the detailed content, white papers, articles, etc. The purpose of this method is to get to the content that will drive your audience to your desired action. By writing “in reverse” you are able to better organize your message and its outcome. We have written several articles on this topic. We’ve coached several clients, spoken about it on radio shows and given numerous seminars on SEO and content marketing. Yes, it is that important. So you’ve organized your content from the bottom up and you’ve worked through an SEO strategy for your content, what else? Goals! Write your content so it drives the reader to an action, a goal. Know your goals! Are they attainable??? If you follow these steps, you’ll be in a better position to achieve your goals. Make sure you map out your plan, have realistic expectations, and involve outside help where appropriate. Writing blog content is definitely a different animal. Consider blogging to be journals, PR, newsletters, white papers and interactivity all rolled into one. This is your chance to be an expert and to interface with your audience on a targeted and effective level. Know your audience, what will they read and react to? What are your goals and how do they relate to your other marketing content? You may have heard that email is dead. Well, it’s not, not by a long shot. Email marketing has been proven to be a powerful marketing tool for businesses and organizations. And it dovetails perfectly into web and social media marketing campaigns. You can even promote your blog with an email newsletter, like we do. It will require some planning and finesse. Writing for an email newsletter is tricky. When done well, it can produce some great results. How would you describe them? What’s their typical schedule? What is going to grab their attention? Where do your goals and their needs align? You must know these people and what their wants and needs are. Until you know them, how can you write to them? This is why a well constructed list of actual people you are targeting is much more effective than a list of randoms you’ve purchased from a service. So, what is email newsletter content and what makes it different from web site content or blog content? Email content is quick, hyper targeted and must drive action. When you write your email newsletter, think conversion. What can you place in your headline and copy that will drive someone to read it and click for more? You don’t want them sitting there reading all of your content in their Outlook or on their smartphone (mostly because they won’t). You want them on your site or on your blog (especially if you sell or advertise there). An email newsletter campaign is completely worthless if it isn’t tracked and measured. If you are simply shooting out emails with no idea of what’s working and what isn’t, you’re missing the point. Again, who are you talking to??? There is no shortage of advice on best practices for Social Media Marketing. It can be a bit overwhelming, confusing, and plain ridiculous. But, if you stick to the basics, you will see results. As with any type of marketing online, content is important. Before you can start blasting out content on any given social network, you need to know who you are talking to. Do some research; are your clients, potential members, fans, etc. on these networks? Which ones? Ask them. Is it for fun? Are you promoting something? Is it both? What aligns itself best with your goals? No, I’m not going to talk about the President and his Twitter habit. Real marketing is actually happening here. The problem with writing for Twitter is that you have 140 characters, that’s it! Use images and hashtags if they support the message. Yes, even marketing on Facebook requires a content strategy. Similar to Twitter, you need to be brief. You can write longer bits of content here. There is a lot of information for competing for attention so get to the point. Start a fan page and promote to clients, colleagues, etc. You can use a lot of these same tips for LinkedIn. There are plenty of other channels out there like Snapchat, Instagram, and on and on and on. Pay attention to the accounts that draw the type of audience you want. What are they doing that you could emulate. Remember, you don’t have to reinvent the wheel. Reuse, repurpose, borrow. Be authentic and focus on being a resource for your target audience. You will see results. Power tip: use a scheduling tool like Buffer or Hootsuite. Be real, human, and helpful. Awesome piece, Jon. Thorough & comprehensive. I submitted an entry to your email. An idea: since this post is so good, contains lots of keyword-dense copy, nice SEO-optimized headlines, etc. Just an idea from an old-school SEO hahah. Chris, great point. I plan to edit the title once the contest is over. Great information, Jon. Thanks for sharing. Jon, thanks from me as well – very cool & informative article! 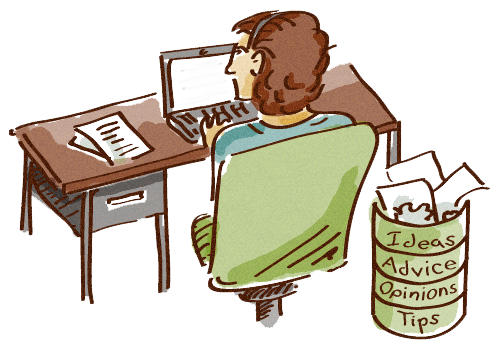 As I am blogging & writing books – these tips could come very handy. You didn’t cover content for books nowadays, did you? So what are must-have points to the modern book writer according to your knowledge and expertise? And what could be alternatives for book promotion besides email marketing? I stick to it for both of my activities – for my blog & novels promotion I choose powerful & easy-to-navigate ESP Mailerlite ( they got special offer for book authors, check it here: https://www.mailerlite.com/authors), but I am always seeking for perfection & news opportunities, so it will be very interesting to hear your ideas about it! Thanks! Awesome post, Jon. Social media marketing is so much more than focusing on and hunting for engagement, likes, shares, and retweets. By putting the focus on sharing quality content, a business can achieve greater things. Today, content marketing is the favorite method of most marketers. It is able to raise brand awareness, build entire communities around a business and, in the end, drive incremental sales.